(San Francisco, San Diego) – July 9, 2013: eigoMANGA's presentation of the animated film 'Padak' is an official entry in the Comic-Con International Independent Film Festival, held during Comic-Con International: San Diego 2013. The screening – on Thursday July 18, 2013, at 5:20pm – will take place at Marriott Hall 2, Marriott Marquis & Marina, which is next door to the San Diego Convention Center. Immediately following, there will be a discussion about the film with producers, Austin Osueke and Jongmin Shin. In addition to screening 'Padak', eigoMANGA will also have a presence at Comic-Con International: San Diego 2013. eigoMANGA will be exhibiting at booth #5532. Locals cower in fear; visitors ask "what's exclusive?" FAIRFAX, Va., July 8, 2013 -- ThinkGeek recently announced that they have sent forth the harbingers of their arrival to San Diego Comic-Con. Their messengers of impending awesome will be found at Booth #5541 from July 17-21. Not content to simply show up, the ThinkGeek booth will provide con-goers the opportunity to buy con-exclusive merchandise such as Minecraft Gold Swords and Pickaxes, Portal 2 Deco Starfield Turrets, and Bravest Warrior pin packs and party masks. And that's in addition to a wide selection of other ThinkGeek merch, including a gold and silver-plated working Sonic Screwdriver Universal Remote from the Eleventh Doctor. For those not lucky enough to attend Comic-Con, most of the items will be available on the http://ThinkGeek.com website while supplies last. When asked to comment on ThinkGeek's prospects at San Diego Comic-Con, Erin Strain, Grand Pooba of Con-Ops, simply cackled in unrestrained delight, glee, and a bit of madness. July 2013 - Monogram International - Superman, Batman, Wonder Woman, and Bane are featured in this 4 piece PVC Figure Set presented by Monogram International for the 2013 Comic-Con. Get your set now, there are only 100 available! - Perfect size to decorate your desk or cubicle. - Highly detailed and colorful sculpts. - Set of four looks great in a display case. July 2013 - Last year, Comic-Con International attendees were present for ground zero of Diamond Select Toys' new Battle Beasts Minimates toy line, with the first-ever two-pack, the launch of the comic book mini-series and a daily giveaway figure! Now, with Series 2 in development and a new comic in the works, Diamond Select will be giving away a new promotional Battle Beast at this year's show! Shadow Merk is a new figure of Merk, the deadly falcon who forms one-third of the band of Beast heroes at the forefront of IDW's comic book mini-series. 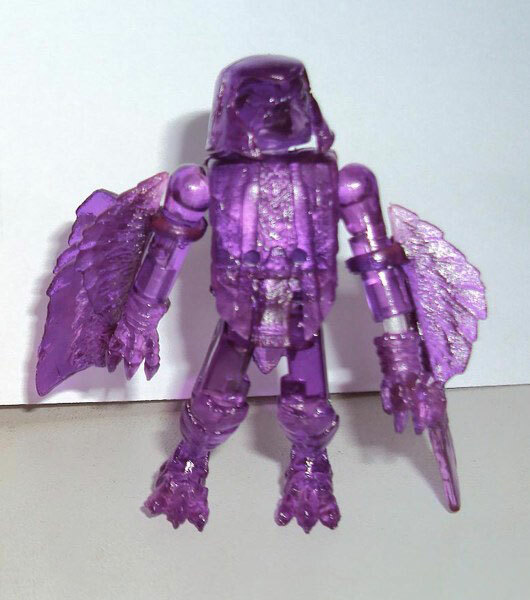 Cast in translucent purple plastic, the figure will be given out each morning at the Diamond Select Toys booth, #2607, in a sealed plastic bag. A limited number will be available each day (but not on Preview Night), so make the DST booth your first stop! 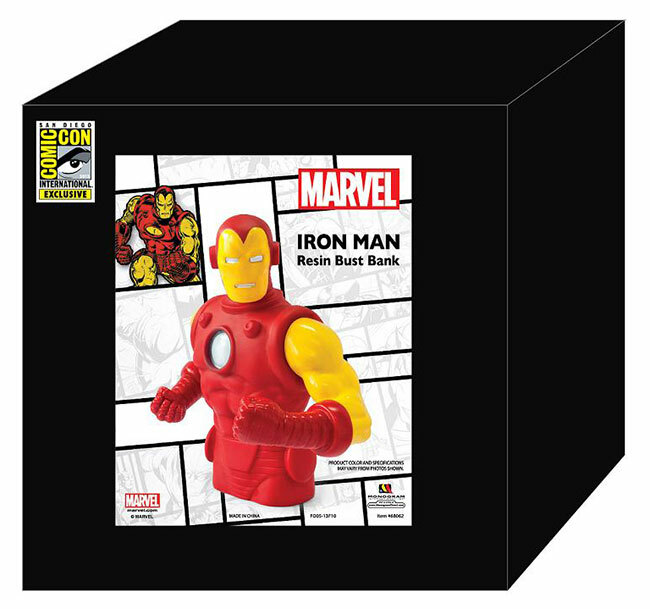 July 2013 - Monogram International has released a special edition 18 piece Marvel Eraser Set for the San Diego Comic-Con 2013! - Great gift for kids as an incentive to study! 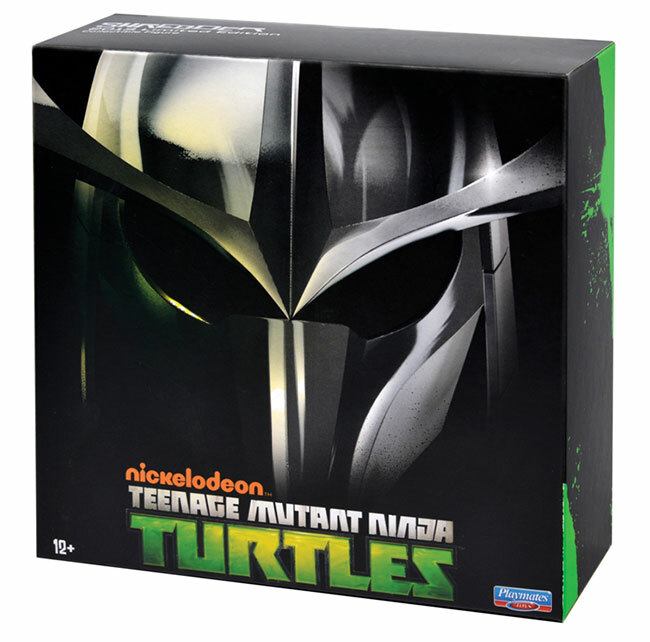 - The double tiered packaging looks great in your collector's display case. - Exclusive Thor Gold eraser. 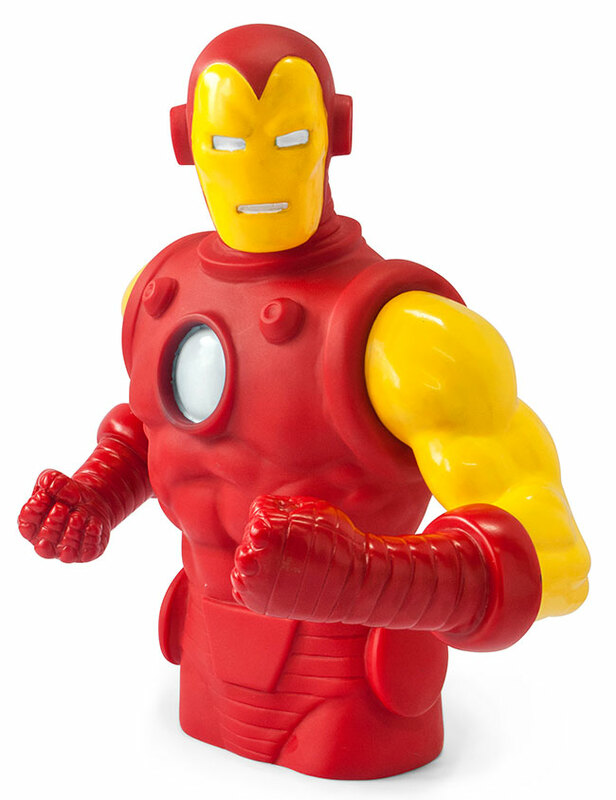 - Exclusive Iron Man Gold eraser.